I'm half expecting a "Translator's Note" for whatever "Ikki" means. 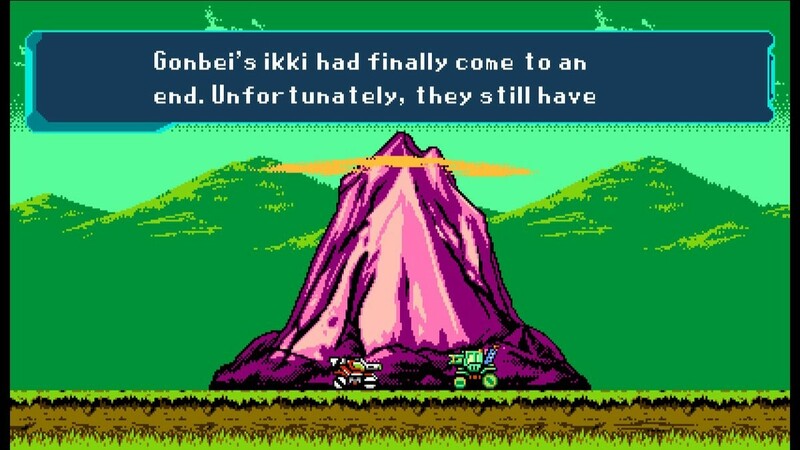 @Jo this entire level is a big reference to the game "ikki", which afaik is the first game sunsoft ever made. it&apos;s about a farmer named "gonbe" revolting against the local authorities. the character "gonbei" here appears in an area that resembles the levels in that game, and uses similar weapons and moves when fought against. the folks at inti creates seem to really like this game. in the first bm0 game, they put what looks like its title screen on the main character&apos;s t-shirt.